Diving watch, issued in a limited edition, is created to support the Tubbataha Reef National Park in the Philippines (hence the name of the model - Tubbataha). Part of the proceeds on the sale of the Oris Tubbataha Limited Edition watch will be aimed at preserving the reef and surrounding marine life, the diversity of which is staggering. Tubbataha is the only national marine park in the Philippines. Tubbataha Reefs, rising through volcanic activity from the bottom of the Sulu Sea in the western Philippines, is transferred to National Park status. This is the most beautiful coral reefs in the world. Amazing atolls are home to a unique community of diversity of marine life. Multi-colored fish live in shallow water in the thickets of corals, sharks and other marine predators descend into the depths of the open sea. It should be noted that with its design and color scheme the novelty is similar to the previous models by Oris, released in support of marine reserves. The main feature of the Oris Tubbataha Limited Edition watch is reliability. Round titanium case is equipped with titanium lugs, attached by three screws with a proprietary slot of Oris. Titanium lugs are designed to protect at the 3 o’clock position the steel crown, fixed on the thread. Titanium case is complemented by the unidirectional rotating bezel with black ceramic 60-minute diving scale. The dark blue dial in the style of "regulator" has hour markers, coated with orange fluorescent compound Superluminova, the central minute hand, date aperture at the 6 o’clock position, a small seconds hand at the 9 o’clock position, and a small window display clock at the 3 o’clock position. The dial is protected by a double-sided anti-glare convex sapphire crystal. On the back side of the Oris Tubbataha Limited Edition watch depicts a shark - these Tubbataha Reef inhabitants are threatened with extinction. The model is equipped with an automatic helium valve and is waterproof to 500 meters. 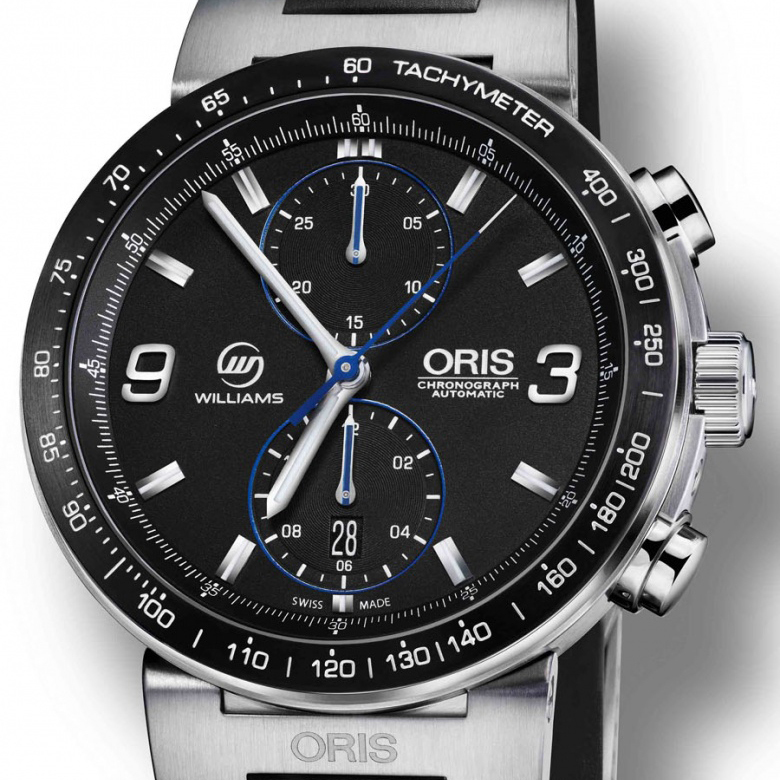 The novelty is equipped with new automatic mechanism Oris 749, compiled on the basis of the mechanism Sellita SW 220. The watch is available on a rubber strap or titanium bracelet with a solid titanium folding clasp. Model Oris Tubbataha Limited Edition is released in 2000 items. The watch will be the perfect accessory both under water and on land - for diving fans and for conservationists.